Window Magic understands the need of uniqueness and freshness of design for interiors and to cater this need of consumer, the company offers exclusive range of windows. Windows are considered as essential parts of every home construction because of its astonishing beauty and the operational standards. The interior of a place makes the value of a place. It not only adds charm and elegance to the place but also enhances your lifestyle. Window Magic is the initial introducers of uPVC to India, which understands the need of designing. Therefore, without compromising on quality, we offer a wide range of uPVC windows, which will surely enhance the beauty of your place. Window Magic is one of the best choices for uPVC windows and doors, uPVC sliding windows, casement windows and sliding doors or turning doors. Our windows and doors are prepared from the uppermost grade of uPVC, strengthened with steel for enhanced structural strong point. Window Magic is the leading provider of uPVC windows in Hyderabad and other cities. 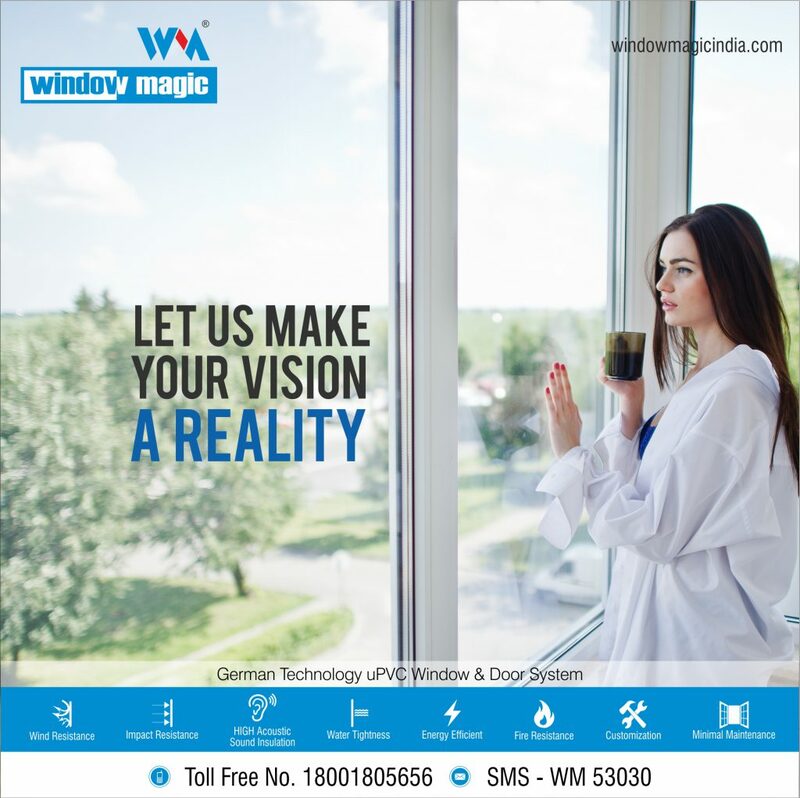 When it comes to offer customers innovative, stylish and high quality uPVC windows and doors for both residential and commercial drives then Window Magic stands tall over customer’s expectations. The company takes care of aspirant’s thoughts of designing your home and turns them into a whole work of art. This kind of care enables them to live in a pleasant environment. The splendor of windows is more than just skin deep; professionally built and installed u-PVC windows are an effective line of defense against intruders. So, if you want to make your house look more elegant then opt for uPVC windows & doors over wooden uPVC doors and windows offered by Window Magic.